Mario Draghi, President of the European Central Bank (ECB), said that the authority does not see a “concrete need” for a digital token alternative to the euro, according to Reuters. Highlighting the stability of fiat money and the infamous volatility of cryptocurrencies, Draghi told parliament members that a lack of robustness in blockchain technology, as well as the absence of sustainable infrastructure to facilitate a crypto economy, meant digital tokens were not a priority for the bank. Drawing attention to distributed ledger technology, the underlying protocol of all cryptocurrencies, Draghi noted the system would require “substantial further development” in the years to come. His remark presumably hints at the absence of research literature and related breakthroughs pertaining to blockchain. For the ECB, a state-owned cryptocurrency means citizens can bypass traditional banking infrastructure and potentially evade monetary policy. Such a scenario causes considerable concerns for the broader economy. Despite the apparent setback, the ECB’s opinions may not compare with the developments of both its peers and member constituencies. Sweden, for example, is exploring an e-krona, or a cryptographic version of its national currency. Piloted by the country’s central bank, the Riksbank, the experiment is a response to the declining use of cash and a rise in electronically-conducted payments in the country. Norway is following a similar approach and is exploring the creation of a state-backed digital asset to remain on par with the increased usage of electronic payments. On the other side of the world, the Bank of Thailand revealed pilot tests for a native CBDC were conducted and proof-of-concept conclusions have displayed promising results. The bank also partnered with eight local financial institutions to create digital currency framework on the Corda blockchain. Reports have also confirmed that China, which has historically been anti-cryptocurrency, is researching and developing a CBDC, courtesy of the People’s Bank of China’s Digital Currency Lab. In addition, the lab possesses over 40 patents on blockchain technology, which sources suggest would be used to underpin the digital yuan. 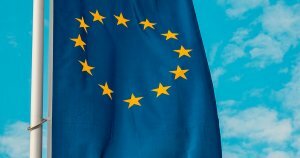 The post No, the EU is Not Issuing a State-Backed Cryptocurrency appeared first on CryptoSlate.